I find it to be a nice thing being around friends. Whether its around a table playing cards, talking online or on the phone or around a campfire. I found a new place that is like walking into a group of friends and thats at my local Biggby. I used to go to one in Kalamazoo when I was in town there and got to know some of the employees and enjoyed the help and service as well as the general kindness they offered. Not just beverage servers by any means. 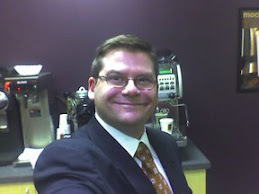 Then, Biggby opened up down the street from me and I entered right at 6 am to be the first in. I do not count the woman who slipped inside minutes before me because officially, they were to open at 6 am. Therefore in my mind, I was finally #1 at something. 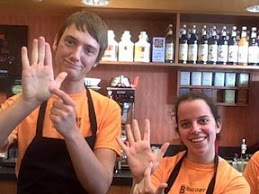 I had met the Manager, Brooke, at the Plainwell Biggby and I found a new friend. She always remembers my name and she is always happy, and helpfull. Her staff is made up of the best employees anyone could ask for. Never pushy, always understanding and in good cheer. They all work together great as I can see and I always feel like I am amongst friends there. To descibe the feeling, look at the tv show "Cheers" and Sammy would be Brooke and I would be Norm. Only the beverage is different and I have not seen a Carla on staff as of yet. I would like to thank Brooke and the crew for always making me feel at home there. As Norm would say "It's a dog eat dog world and I'm wearing Milk Bone underwear." It is nice to go where everyone knows your name.